Huevos Rancheros is a great way to enjoy an egg at breakfast. This one is topped with cilantro for freshness and jalapeno for bite. To make the black beans, heat a skillet over medium heat and drizzle with olive oil. Add the shallots, chopped jalapeño, cilantro stems, and garlic. Sauté for about 5 minutes until softened, stirring often. Add the rinsed black beans along with the chicken broth and allow it to simmer for about 10 minutes, stirring throughout. Squeeze in the juice of 1 lime. Roughly mash the mixture with a fork or wooden spoon and season to take with salt and pepper. Remove from heat and set aside. Melt butter in a pan over medium-low heat. Fry each egg until the whites have set but the yolks are still runny. While the eggs are frying, warm tortillas in a separate pan on medium heat for 1 minute per side. To build, layer each tortilla with a some of the black bean mixture and a spoonful of pico de gallo. 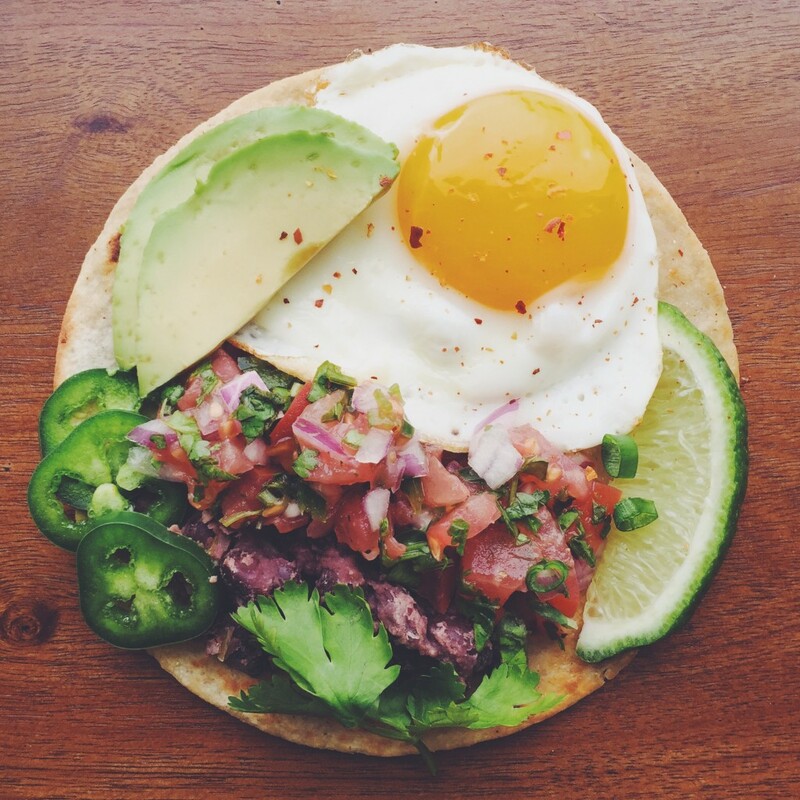 Place a fried egg on top and finish with a few slices of avocado, jalapeño, cilantro leaves, and a wedge of lime. Season with additional salt and pepper if desired. Place 4 eggs in the water and allow to cook for 1 hour. While the eggs are cooking, prepare a breading station by setting up 3 bowls. Bowl one should contain the flour, half the salt, half the pepper, and half the cayenne. Bowl two should contain 2 eggs, lightly scrambled, the Sriracha, and a splash of water. Bowl three should contain the Panko, remaining salt, pepper, and cayenne. After an hour, remove the eggs from the water and crack them onto a plate or shallow bowl (careful they will be hot!). being very careful, pull the whites away from the yolks (I like to hold them under a very light stream of room temperature water to help). Working one yolk at a time, coat in flour, then egg, then Panko. Heat oil to 350°F. Carefully place the yolks in the hot oil for 20-30 seconds until golden brown. Remove from oil and drain on paper towel.